Luka Modric hit out at the English media saying journalists and pundits “should be more humble” after Croatia defied many predictions to reach the World Cup final for the first time in the country’s history, while his team-mate Sime Vrsaljko accused England of being a long-ball team. 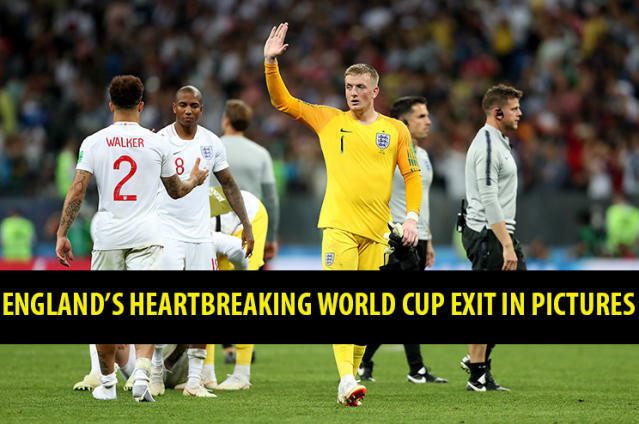 Croatia came through two penalty shootouts, against Denmark and Russia, to get to the semi-finals and were expected to show fatigue, but as the game went to extra time it was England who appeared to tire. “We proved everything differently that people were saying, especially English journalists, pundits from television, they underestimated Croatia tonight and that was a huge mistake,” said Modric. “All these words from them we take, we were reading and we were saying ‘OK, today we will see who will be tired’ and like I said, they should be more humble and respect more their opponents. “We should against we were no tired, we dominated the game, physically, mentally in all aspect, we should have killed the game before extra time. It’s an amazing achievement for us, it’s a dream come true after such a long time. The biggest success in Croatian history, in sport, we have to be proud. Croatia’s right-back Vrsaljko, who impressed throughout the match, was scathing of England’s style of play, saying they resorted to punting “long balls”.